Pawpaw is the largest native fruit of North America, but it’s still not very well known. 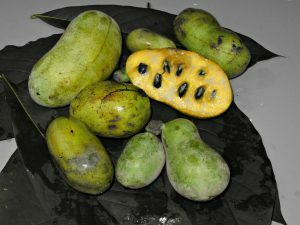 Pawpaw fruit vary in size, they can be as large as a Mango. They are Native to eastern United states and as far west as Michigan and south to Florida. The flavor resembles a mixture of mango, banana, and pineapple. It has a creamy texture. The flesh color varies from light orange to white. Ripening season starts from September into November. I enjoy taking an annual trip to pick pawapaw from wild patches here in Pennsylvania. 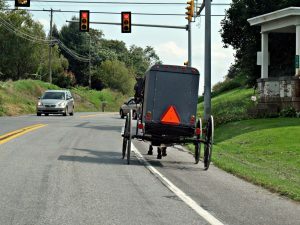 Last September I took a ride through Lancaster county the Amish country, into an area along the Susquehanna river where a friend mentioned about a wild Pawpaw patch. Check out the interactive map for the pawpaw patches around Lancaster area. I took a trail through the wooded area about a mile away from the Susquehanna river, and after 10 minute hike I reached an area surrounded by trees with beautiful tropical looking foliage. This was the pawpaw patch, I felt like Adam in the garden of Eden surrounded by wild fruit trees. There were small, large, orange fleshed, and white fleshed pawpaw. I picked some off the ground, and some right off the trees. 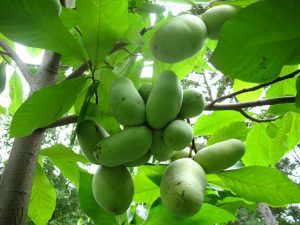 There were many ripe pawpaws in mid September, but there were several trees that still didn’t have ripe fruit. I avoided picking the hard green ones, since the best tasting pawpaw is the one picked when fully ripe. I also avoided picking the overly ripe pawpaw since it has a bitter after taste. Today there are several known varieties of Pawpaw that were collected from the wild. 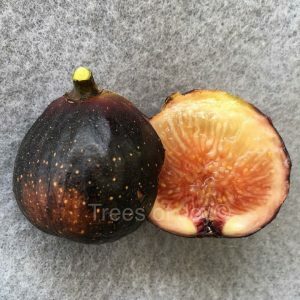 Many breeders are releasing new varieties. Pawpaw can easily be grown from seeds. 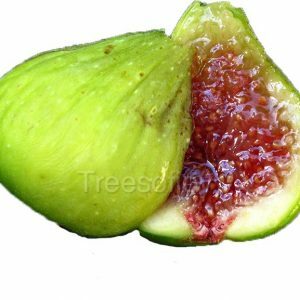 Seedlings start producing fruit within 6 years and they appear to be very close to the parent tree. Grafting is commonly used to produce known varieties. 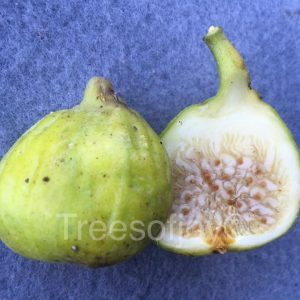 Grafting is done when the rootstock is at least 2 years old in early spring. Pawpaws do not transplant very well, and bare rooted trees are very tricky to get established. Container grown pawpaws have the most success when planted in a garden. The pawpaw tree is very hardy, it can take temperatures down to -25°F. 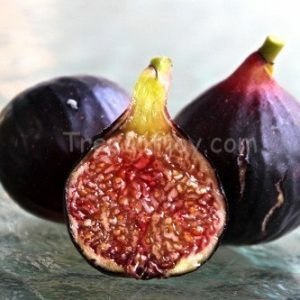 It is found in the wild as an understory tree, it can tolerate some shade, but for the best fruit production it needs a full sun. Young trees benefit from the shade. It doesn’t tolerate drought very well.